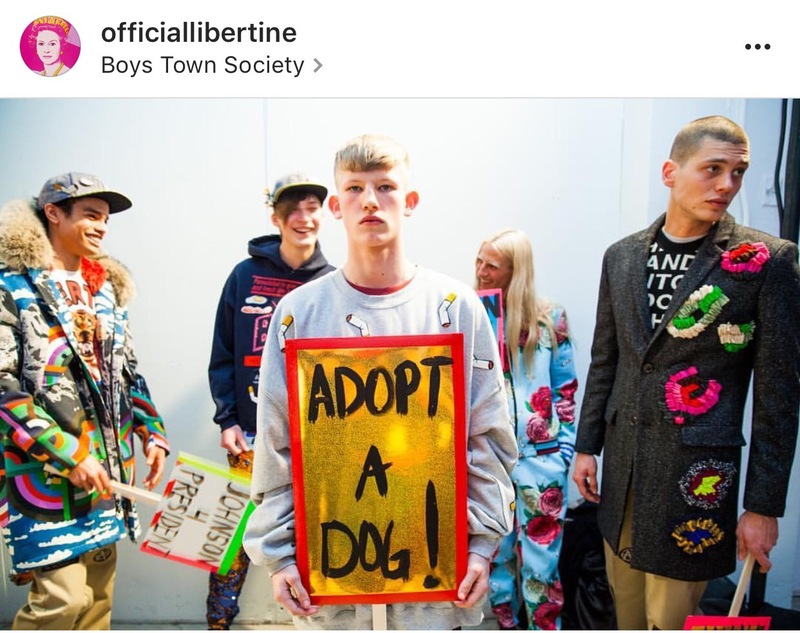 Why am I just finding out about the brand Libertine? Another bonus, he has an affinity for canines. Wanna be besties Hartig? Mixed printed tuxedos, sequined track suits, oversized sequin trousers, and colored faux fur jackets, what’s not love about this collection? This brand has my personal style down to a T, so you know I’m here for all of it. There are literally no words to explain the greatness behind my newly found discovery. So without further or do, prepared to be obsessed. I already am. The men’s F/W 17 collection is just as beautiful. What are your thoughts? Is this collection a little too bold for your taste or just right? To view the women’s collection in its entirety click here. Tags: brand to know, colored faux fur jackets, johnson hartig libertine collection, Love|Wishes|Obsessions, orange fur jacket, runway shows, sequin men shorts, sequin track suits, where to buy libertine clothes. Bookmark the permalink.